I’ve mentioned a couple of times that I love including vitamin C serum in my skin care routine. I’ve tried a couple of them already, but Klairs Freshly Juiced Vitamin C Serum was not on my list yet. 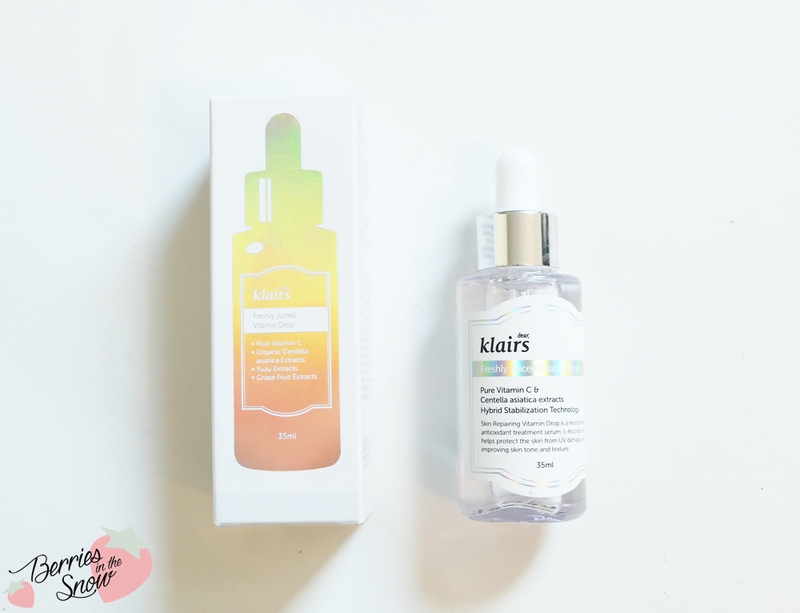 I was very happy, that Wishtrend asked me whether I wanted to try this rather newly launched vitamin C serum because I’ve been very happy with all of Klairs products I tried so far. 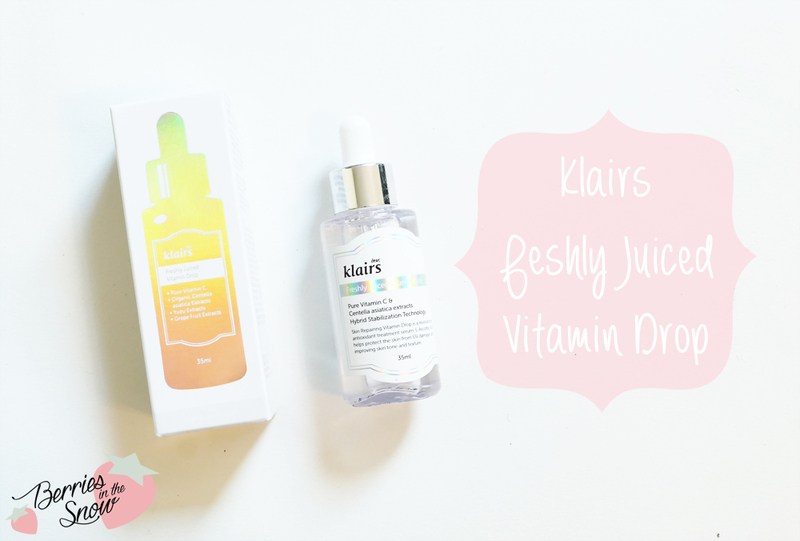 Let’s see how the Klairs Freshly Juiced Vitamin C Serum performs! Klairs is a Korean brand sold on Wishtrend. It is eco-friendly, claiming to produce products which are animal-testing-free, alcohol-free, paraben-free, and artificial-color-free. Their products address people with sensitive skin and people who want to moisturize their skin. I reviewed some of their products before, like the Klairs Illuminating Supple BB Cream or the Klairs Gentle Black Cleansing Combo, which both convinced me in their effects. I also did like the Klairs Klairs Supple Preparation Facial Toner, which by the way has been updated and improved recently to a larger volume and more moisturizing ingredients. But let us return to the Klairs Freshly Juiced Vitamin C Serum for this post. Compared to 20 % vitamin C which you can find in OST C20 Vitamin C serum 5 % sounds like nothing. So what is the advantage of using a higher dose of vitamin C in your serum? Vitamin C is an antioxidant and thus can prevent our skin from aging too early and from sun-damage. A high concentration of Vitamin C doesn’t mean automatically that it is more effective concerning anti-aging. Normally, a high concentration of Vitamin C aims at a visible effect, because it tends to operate as a chemical peeling by loosening dead and old cells. This is not a bad effect and stimulates the skin to regenerate itself, but keep in mind that it won’t affect the inner cell layers of your skin which have to be aimed if you really want an anti-aging effect. I know that for many the C20 Vitamin C serum with its high concentration is to harsh on the skin. With 5 % vitamin C serum you won’t have any problems with using it on sensitive skin, but you also won’t have the effect of regenerating skin. The benefit of the Klairs lies much more in the combination of all the ingredients together. You can check out the ingredients on COSDNA. The second key ingredient of Klairs Freshly Juiced Vitamin C Serum is that vitamin C is paired with Centella Asiatica extract. Centella Asiatica extract has various benefits since it has anti-bacterial, smoothing and soothing properties. Triterpenes are one of the key compounds within the Centella Asiatica extract. They stimulate the synthesis of collagen and fibronectin with the skin cells. One of the subgroups of the triterpenes (madesaddoside) has shown positive effects on wrinkles and sun-damaged skin in combination with vitamin C. Apart from these two key ingredients you will find a bunch of other plant extracts with different moisturizing and anti-bacterial properties, which round up the formula of this serum. The included dropper makes it easy to use the product. 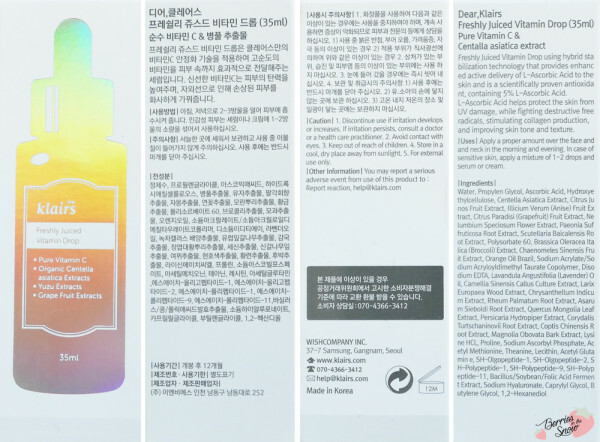 The serum has a clear color and is slightly runnier than oil. Unlike the C20 serums, this vitamin C serum doesn’t feel like water either but has a similarity to a light oil or ampoule. When you distribute it on your face it has a smooth feeling. Additionally, the serum also has kind of a warming effect on the skin. I was really surprised about the formula, because it really reminded me of facial oil first, but didn’t make the face look greasy. It gives your skin a nice glow though. The scent is a citrus-herbal-lavender scent to me, but it is not overpowering. Since I didn’t use it for a long time yet, I cannot show you any long-term effects, but even if I could I think you would not see much of a difference because my skin has been in a good condition for quite a while now. I can say for sure that it is much milder than the C20 vitamin C serums, yet, on the other hand, I don’t think that you can call this a pure vitamin C serum because of the low concentration. 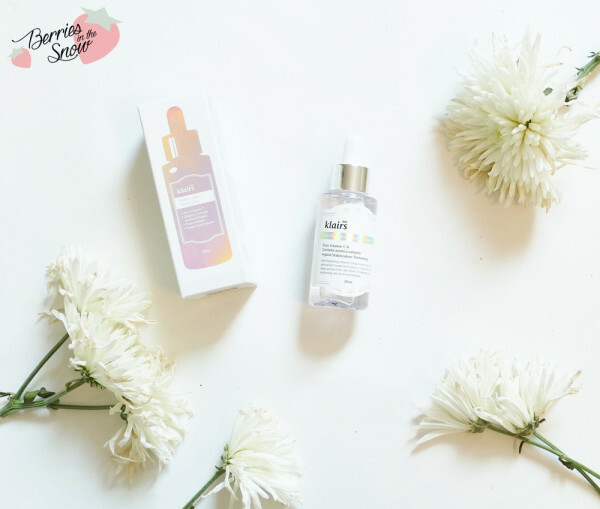 The main reason for why this serum is great and probably efficient for many is the combination of the ingredients and especially the combination of vitamin C with Centella Asiatica extract. Which is your favorite Vitamin C Serum so far? Right?! It is super interesting! Did you also read that study from 2008 and the concentration of 5% vitamin C they use?! Super interesting result. A pitty the C20 does not work for you, but I think the Klairs serum is a great alternative for sensitive skintypes. I’m happy this worked out for you after so many other irritating vitamin C serums. Are you planning to stick with this one? Or open to others? Thank you so much for this review. I really was looking for a comparison review between the two as I was using the older version of the OST C 20 and you have helped me make my decision. Have just ordered this Serum and hope it will do good for my skin. 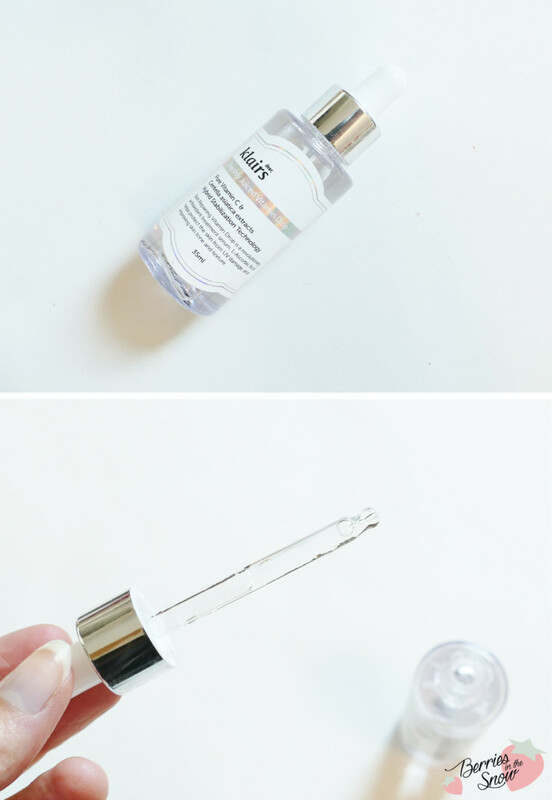 I like this serum, it make my skin brighter, every morning, all I need is a tiny drop, it will help to make my dry skin feel moisturizers all day. Most cream moisturizers only keep my skin hydrated for part of the day, but I just need this once in the morning. It’s wonderful. Really thanks for your share. Awesome article on the different Vitiamin C products!! I will have to look into the Laguna Naturals. Keep up the informative articles, its incredibly helpful with all the products out there! It doesn’T oxidize as quickly as the C20 Serum. I didn’T store mine in a fridge but I used it up really quickly. It didn’t change its color. At what step in my skincare routine would I use this?? I use the Klairs serum during day and BHA/AHA or Retinol during night. But your routine sounds perfectly fine to me. I’m no skin expert though, but as long as you don’t observe any irritations you can continue using everything in that order.